A perfect match to Model NS9. an excellent bathroom light fixtures. 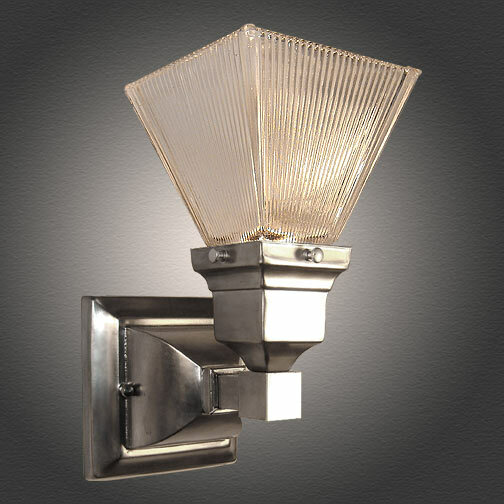 Place this Mission Style single light wall sconce on the left and right of your bathroom mirror. We like this one in pairs to complete a set. Solid cast brass construction and square grooved glass. Finished in Antique Pewter. Width 5 In. / Projection 6 In. / Depth 9 In.